HAMADA Shoji | Persimmon glazed Vase — Dai Ichi Arts, Ltd.
"My pottery work, I found my path in Kyoto, began it in England, learned more in Okinawa, and then cultivated it in Mashiko." "When I moved there in 1924, Mashiko was for decades creating grinding bowls, jars and teapots that were used throughout the Kanto Plains, yet no one would know where these ceramic vessels came from. I was impressed by the fact that there was a kiln site so close to Tokyo that was still virtually pristine, and washing away what I had learned from my time studying in Tokyo and Kyoto, I began to pursue this purity in health in both my way of life and in my work. For this reason, I chose to use materials only from Mashiko, my potter's wheel, my clay and my glazes." Here, he built his own kiln and committed himself to using only locally sourced materials, not only in the clay he used, but also the glazes he created and the brushes he manufactured himself from dog hair and bamboo. Born in Tokyo. He studied ceramics at Tokyo Institute of Technology with KAWAI Kanjirō 河井寛次郎(1890-1966) under ITAYA Hazan板谷波山(1872-1963). 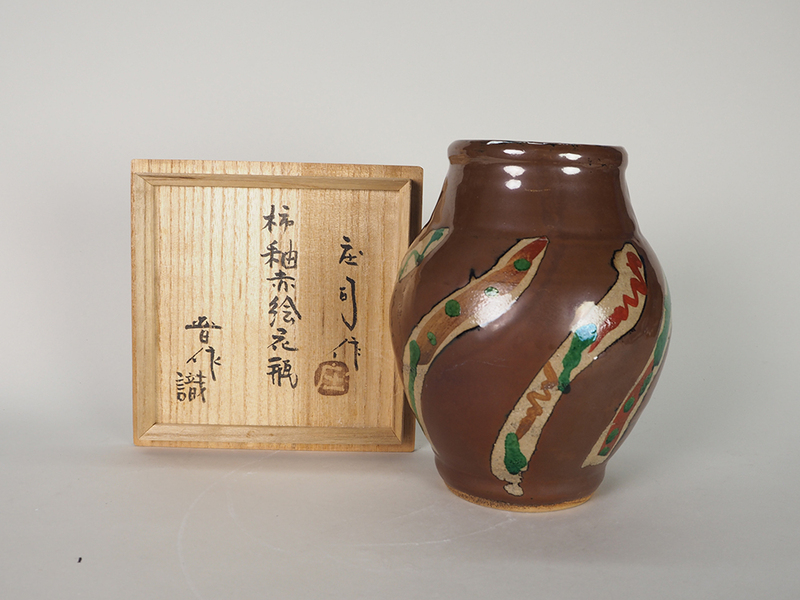 Hamada is certainly the best-known Japanese potter in the West, which he frequently visited. 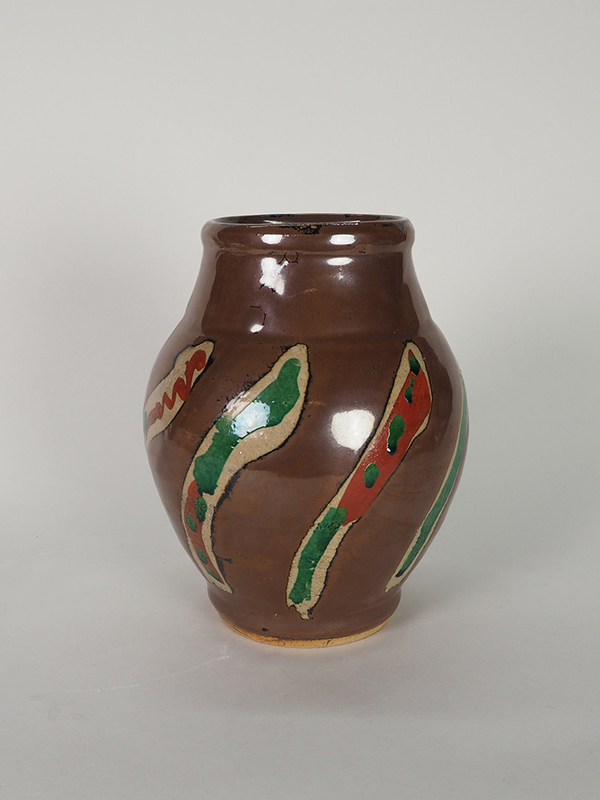 He had a close relationship and working partnership with the important British potter, Bernard Leach (1887-1979), with whom he set up a Japanese style kiln in St. Ives, in southwest England. Hamada toured the U.S. on many occasions, lecturing, giving workshops, and being a great ambassador for folk-based Japanese ceramics. His pottery style has proven to be easily accessible and popular. Hamada Shoji was very supportive of young artists who moved to Mashiko such as his student SHIMAOKA Tatsuzō, and KAMODA Shoji. In our talks with Mrs. Seto, she told us, Hamada Sansei would stand in his gate say goodbye to his guests regardless their age, till the guests disappeared far away. Hamada adhered, partially, to the folk idea of the anonymous craftsman. He refused to carve his signature or impress his seal into the pots that he made. However, that did not prevent him from signing the wood boxes in which they were contained. In theory, Hamada did not want to appear to be an artist who intellectually or self-consciously created works of ceramic art. He liked to think that he himself did not produce his work, that it, somehow, was the product of a collective community effort, rather than by his unaided labor. Consistent with the folk craft ideal, he only made utilitarian pieces. Hamada uses this six-sided mold-impressed vase as a palette for a gorgeous display of color, inspired by the lesser-known Okinawa folk pottery tradition. Hamada initially visited Okinawa on his honeymoon, and often thereafter in the wintertime. The influence exerted by the Okinawa tradition may have been reinforced by his, no doubt, exhilarating romantic memory.